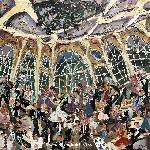 Be amazed as Alex Harvie captures all the events of your evening into one breathtaking moment on canvas. Dressed in a tuxedo decorated with years of stray paint, Harvie is as much an entertainer as an Artist. 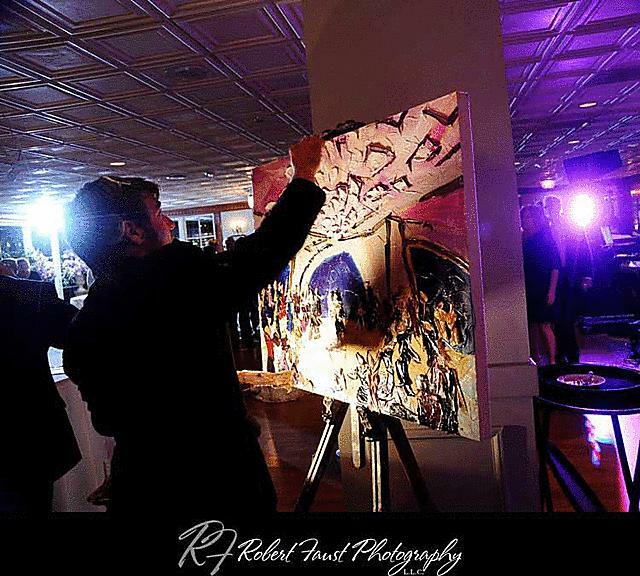 His energy and work ethic come from over a decade of experience; having painting weddings live since 2006. Harvie will be onsite at least a full hour before your wedding to absorb the environment before guests arrive. But make no mistake; He will not start your painting until the party begins! Guests will be amazed as a completely blank canvas is transformed into a one-of-a-kind masterpiece. The bride and groom are the focal point, but Harvie also takes the time to meet and include important family members. His friendly personality allows others to approach him with questions and also request a spot in the painting! You will marvel to see so many of the people you love immortalized in a work of art. Transform your wedding from ordinary to extraordinary with a timeless piece of Art! Please contact for pricing and availability. ©Copyright 2005, Alex Harvie. All Rights Reserved.